Business may be defined as a composition of several components and the objects that stands for a successful business are good organization, detail records about finance and potential challenges, competitive analysis, aware of the risk involved and the corresponding solution, consistency, providing good services, sales, marketing etc. A business may be small-scale or large-scale business, but it is not possible for a single person to manage the operations involved in any kind of business all alone. If in case a single person is going to manage the whole operations, then he/she may fail to take care of core business functions. To ripe the fruit of success in Business it is very important to manage the successful objects that has been listed above as well as the core business operations. The key to mange both the core functions and the main objects at the same time is Outsourcing. Outsourcing can be defined as the process of getting work done for a certain operation either by a company or a single person outside the business concern. Business Outsourcing is one in which the owner of the business outsources a part of the business operations either to a company or an individual to get done effectively and efficiently. Outsourcing is not a very new technique. It grows parallel with a well organized business process. Outsourcing plays an important role thus enabling the business people to achieve their targets easily and help them to achieve victory in their business. It is not that easy for a single person to handle the whole operations of a business concern. It comprises of many difficult task to be done. 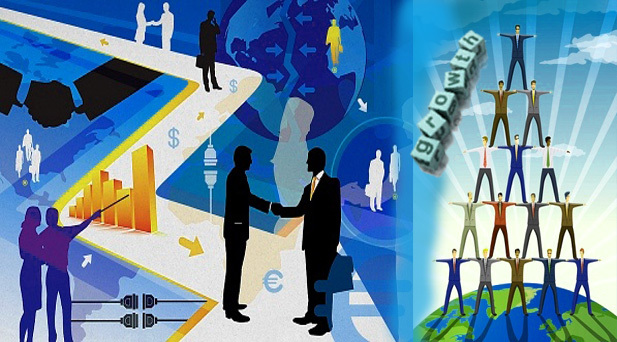 Outsourcing is done in such cases to handle certain function of the business operations. If these task are done efficiently and effectively then without any doubts the business will surely reach the path of success. Some of the benefits that associated with Outsourcing are: focusing on core activities, getting connected with skilled expertise, increasing in-house efficiency with better risk management, run the business very smoothly (24*7), improves services thus making a happy customer, operational control, staffing flexibility, controls capital cost etc. The benefits of outsourcing are many but it is not very easy to find a right individual or a company for outsourcing business functions. Therefore every business owner must aware of finding the right partners for Outsourcing and should keep a track whether the working is getting done properly and efficiently.